Want to surprise your family with something different on boxing day? Here are some great recipes to inspire you. BBC food – A collection of leftover recipes including Hairy Biker’s turkey, ham and stuffing pie, turkey Chelsea buns to pasta with bacon, peas and cream, sherried turkey and ham bake. We have a number of other recipes on our blog. Enjoy and let us know how they turn out as we generally stick to making curry! If you haven't ordered your free range bronze turkey yet, and not sure whether you want a whole bird, crown or roll, visit our product page. 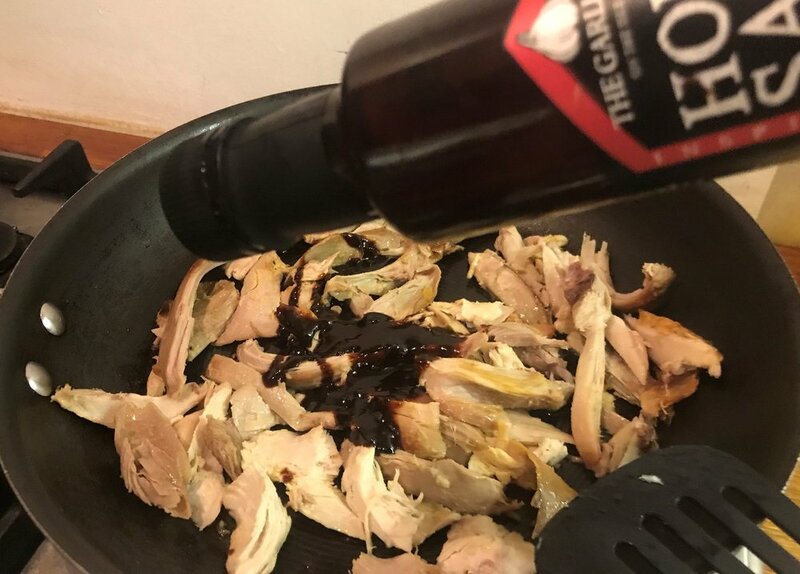 We Turkey & Hoisin pancakes with The Garlic Farm’s sauce.